Supplier Refco, founded in 1988, is a medium-sized company specialised in bending, folding and brazing copper. 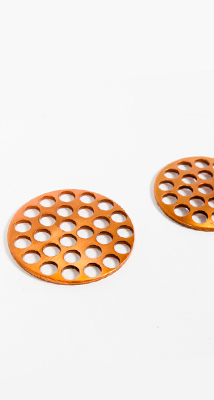 Refco, expert in the field of copper processing, produces subassemblies. In this way, the customer can focus on his or her core activities. Refco guarantees precision and added value, according to your schedule, from A to Z.
Refco is active in Belgium, the Netherlands, France, Germany and Luxembourg. Thanks to the proximity of the markets we are able to deliver the products quickly and punctually.